Nilkamal's Cipher single bed is one of the most authentic kinds of single beds you will find in the market. 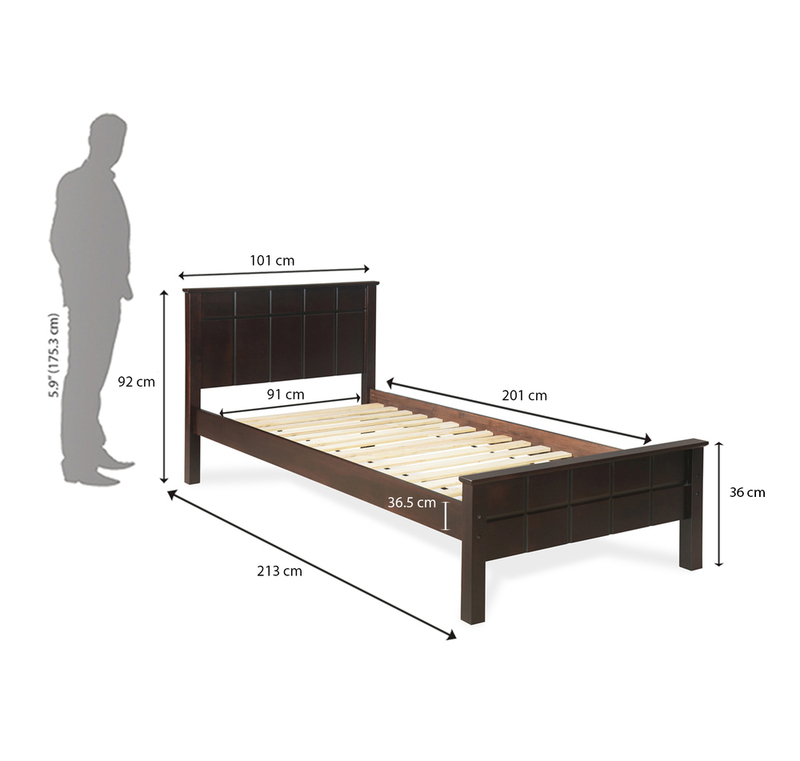 With a sturdy build, the bed comes well designed in wood. The deep brown cover of the bed offers you a strong design with beautiful titled texture on both ends. The sleek design of the bed without a storage compartment makes the bed look stylish and modern. The bed falls under the latest fashionable beds and offers you great comfort. It has enough space for a single person to sleep in. The wooden bed is well-polished and offers a matte-ish finish for your room. This bed will gel well with your modern room and will give your room a minimalistic look. This bed comes with the Nilkamal quality and value for money and offers you great ease of use. The bed has wooden rails to support the mattress, which offers you a sturdy groundwork for placing the bedding. For a new room or for your kid's room, this bed will gel amazingly well with the settings and offer your room a modern look. So add this beautiful piece of furniture to your room from @Home.